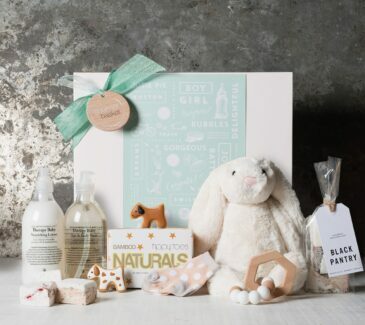 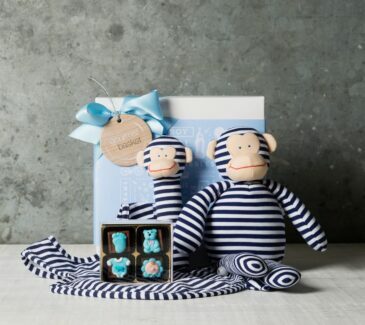 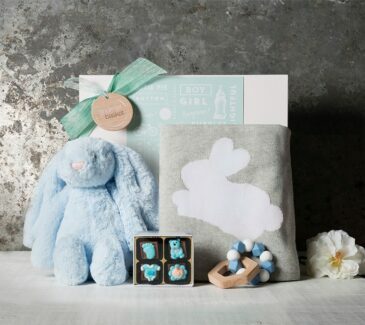 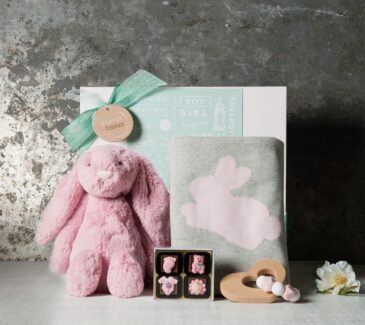 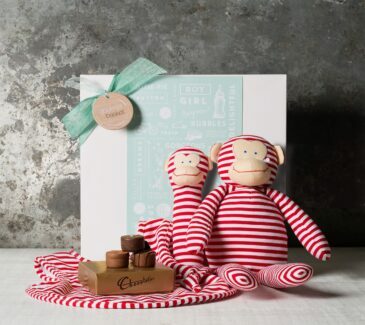 Celebrate the arrival of a beautiful new baby with our gorgeous baby gift baskets and newborn gift hampers. 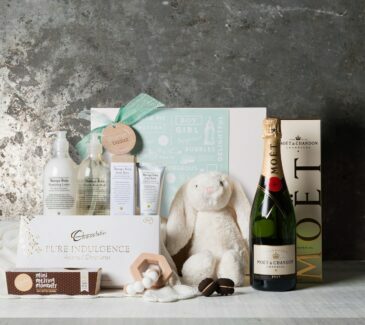 Don’t forget the Champagne for Mum! 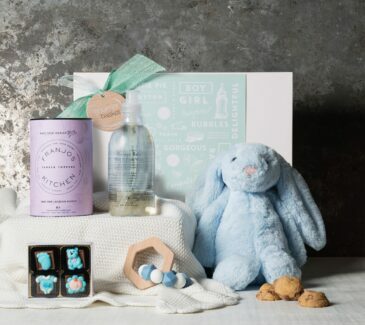 We have selected exquisite quality items that will surprise and delight the new Mum, and give baby something special to welcome them into their new world. 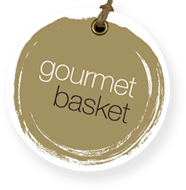 Select from our range above, or call us to discuss something different.